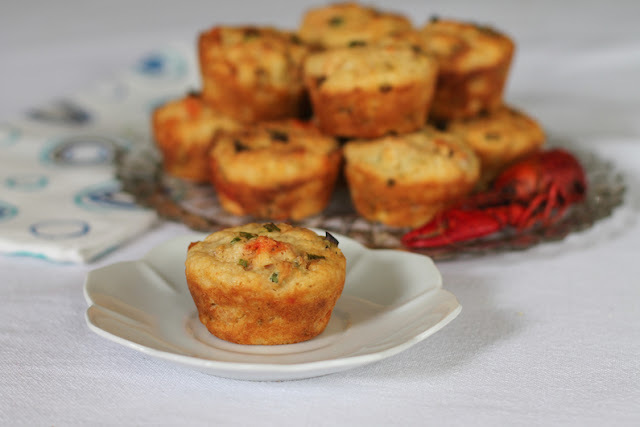 Crawfish pie muffins are not for the faint of heart. They have a half cup of melted butter, a full cup of peeled crawfish with fat included, and a little cayenne for zip. On the other hand, I've also included one cup of iron-fortified quick grits and some fresh green onions. Every year when I come home for a visit in the spring, boiled crawfish are at the top of my list of Things I Want to Eat. We like to buy them live and cook them ourselves because we can season them to our taste but most importantly, because they are substantially cheaper that way. They are sold by the sack and you have to buy the whole thing (usually between 30-40 pounds) because stores won't divide them. This year the price is $1.97/lb, which is pretty darn good. Deliveries are only made on Friday, Saturday and sometimes Sunday so I plan my trips accordingly. I need at least one weekend here to take advantage. Last Friday, I bought a 35 lb sack and boiled them in three batches. It was just my elder daughter, my mother and me so we ate till we couldn’t eat any more and, of course, there were plenty, I mean PLENTY, of leftovers. I ate cold boiled crawfish (delicious!) on Saturday. And on Sunday my mom came over and we both ate lots more. 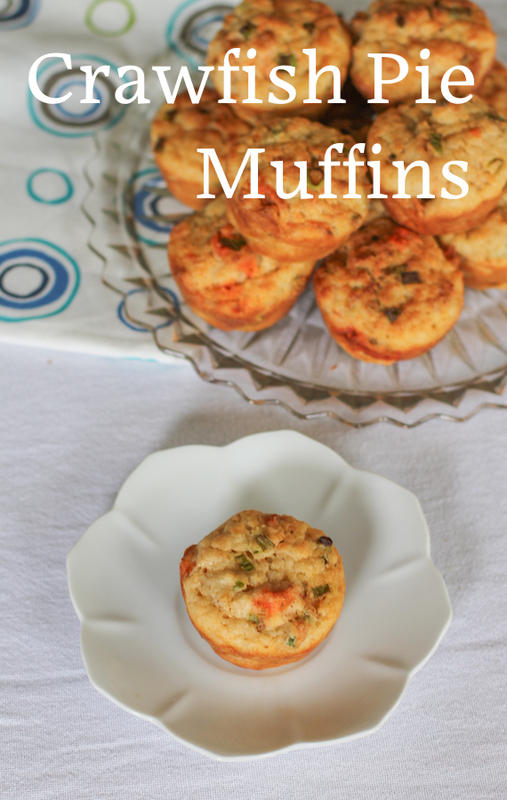 Then I peeled a bunch and made these tasty crawfish pie muffins. And there are still crawfish in my refrigerator! I don’t think I could ever get tired of eating boiled crawfish but this is going to be the test. Meanwhile, the muffins turned out perfectly. The cooked grits add great flavor and texture, kind of a little like cornbread but with a much softer crumb. Preheat your oven to 350°F or 180°C. Lightly grease 12-cup muffin pan with butter. 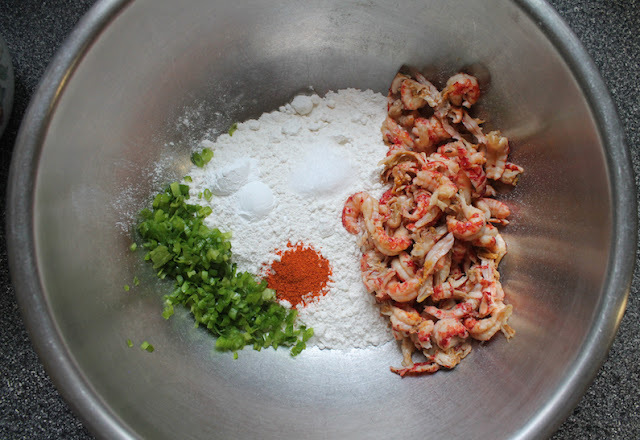 Measure your flour, baking powder, salt and cayenne into a large mixing bowl, along with the green onions and peeled crawfish. 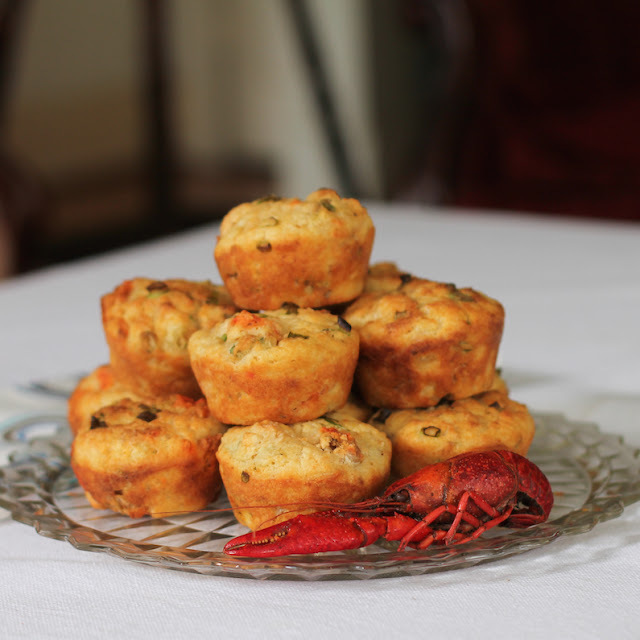 Mix well to combine and coat the crawfish with the seasoned flour. 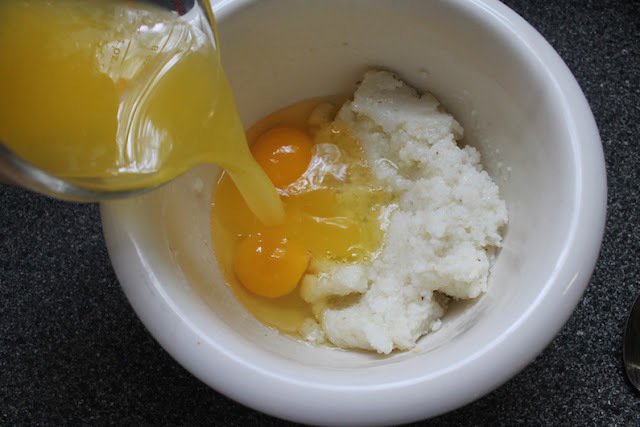 Whisk the eggs together with the cooled grits. 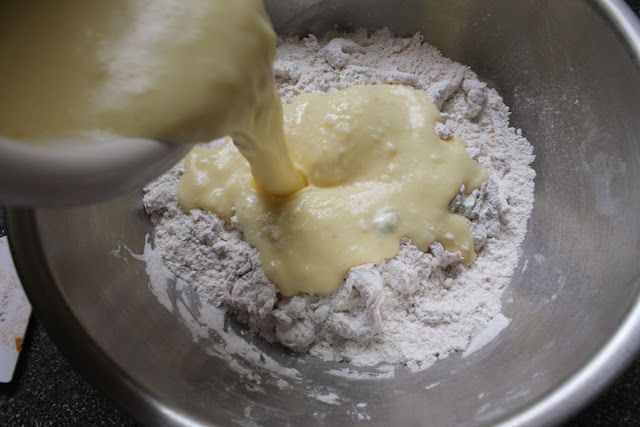 Add in the butter and milk and whisk again. Pour the liquid ingredients into the dry ones and stir until just mixed together. Spoon the batter into the prepared muffin pan and bake for 25-30 minutes or until the muffins are baked through and golden on the outside. 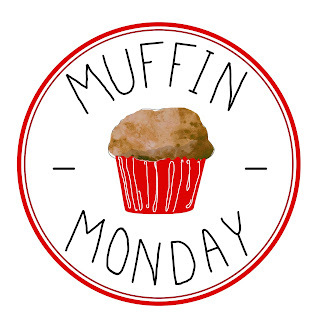 Check out all the lovely muffins my Muffin Monday bakers have for you today!